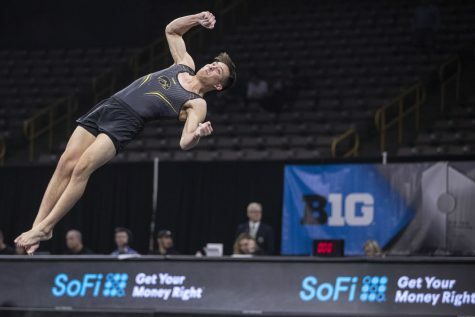 Over the weekend in the Windy City, the Iowa men’s gymnastics team competed in the NCAA Championships in the very venue in which it began the 2018 season. And just like that first invitational, the Hawkeyes placed in the lower half. 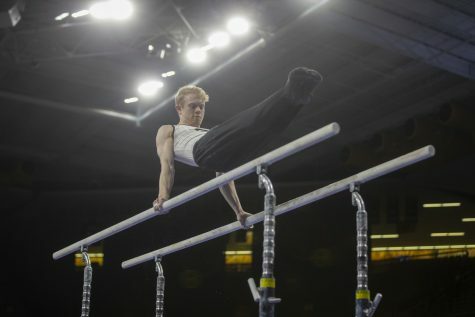 Twelve teams showed up at the NCAA Championships, split between two sessions. 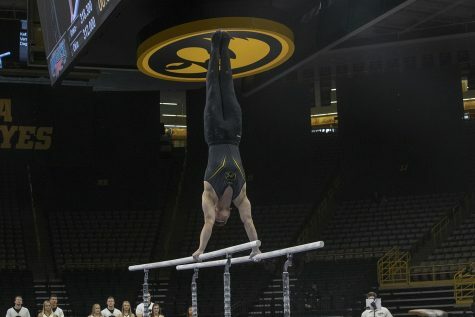 Iowa competed in the second session against Illinois, Penn State, Ohio State, Cal-Berkeley, and Oklahoma. Oklahoma ended up taking it all with a team score of 410.991. 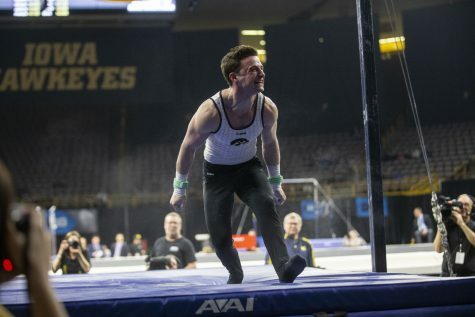 Comparatively, the Hawkeyes barely broke 400 and landed in their expected team ranking of ninth. Toward the latter portion of the season, the Hawkeyes displayed a lot of promise by upsetting higher-ranked teams. 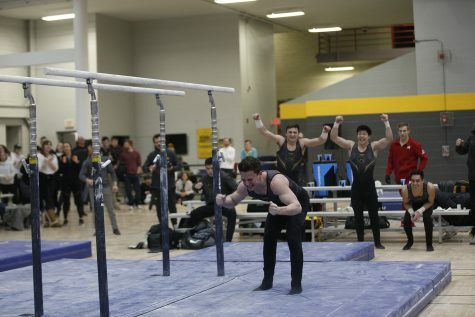 At both the Big Ten and NCAA Championships, they fell short and couldn’t repeat the act. Unfortunately, the disappointment doesn’t end there. The four seniors on the team had been strong performers and constant scorers all season long. 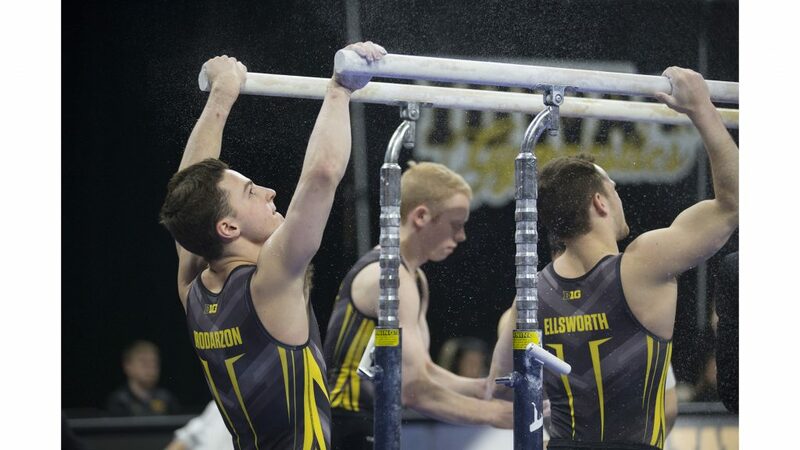 Dylan Ellsworth’s vault and parallel-bar scores have regularly been some of the best all season. 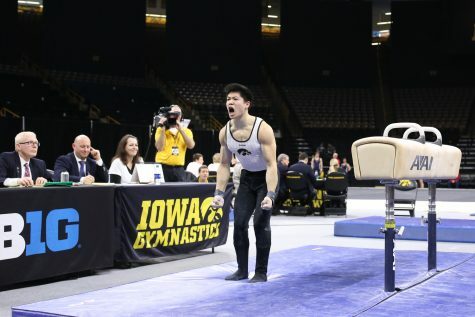 On the pommel horse, Austin Hodges and Elijah Parsells have been powerhouses, and on the rings and floor, Mark Springett put up the numbers Iowa needed. But come April 20, none of them could pull through to finals. This, however, doesn’t mean that Iowa was done after April 20. Iowa’s rising star freshman wasn’t alone in competing well enough in the first round to move on. Junior Andrew Herrador, sophomore Nick Merryman, junior Jake Brodarzon, and junior Kevin Johnson joined him in the finals. In the finals, Brodarzon placed 43rd on rings but bounced back to place 15th on vault. Herrador also scored a fifth-place finish on the high bar. 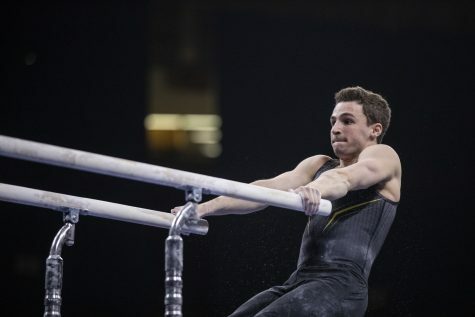 On the pommel horse, Merryman tied for 17th, followed by Johnson’s 22nd place. Huang wrapped up the competition with a 12th-place finish in the all-around. 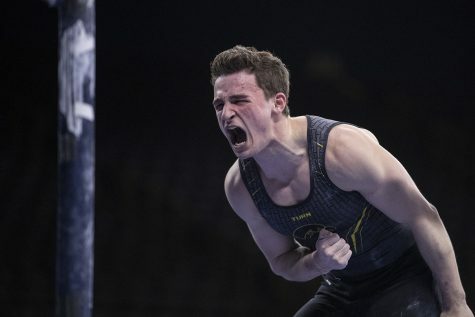 So even if the team didn’t quite make it, NCAAs were still sweet for the Hawkeyes.